3-D Bail Bonds Manchester offers the best-localized bail bonds service by professional agents at the lowest prices and most affordable payment plans. Our local bail bondsmen are available twenty-four hours a day, seven days a week. Bail Agents: Luis, Tawn, Dan, Drew, Jen, and Melinda are nearby. Contact us for a free confidential consultation. BAIL BONDS MANCHESTER – BAIL BONDSMAN SERVICE NEAR YOU! Bail Bonds Manchester understands the urgency to get your loved one out of any Manchester jail as fast as possible. When someone is in jail, minutes feel like hours. That’s why we always have a bondsman available near the Manchester police department 24 hours a day. We take pride when serving our community by providing an easy process and immediate service. But most importantly, we have very affordable prices and payment plans. The most dedicated team of bail professionals are awaiting your call. Call us and get a bail bond quote right now. All Manchester Bail Bonds are possible at 3-D Bail Bonds. Remember calls are confidential. Find the lowest priced bail bonds near you now. Call us. Manchester is a town in Hartford County, Connecticut. As of the 2010 census, the town had a total population of 58,241. Among the top places to visit in Manchester are Wickham Park, The summit of Case Mountain, The Shoppes at Buckland Hills and several museums. Wickham Park is a must-see attraction while visiting Connecticut. 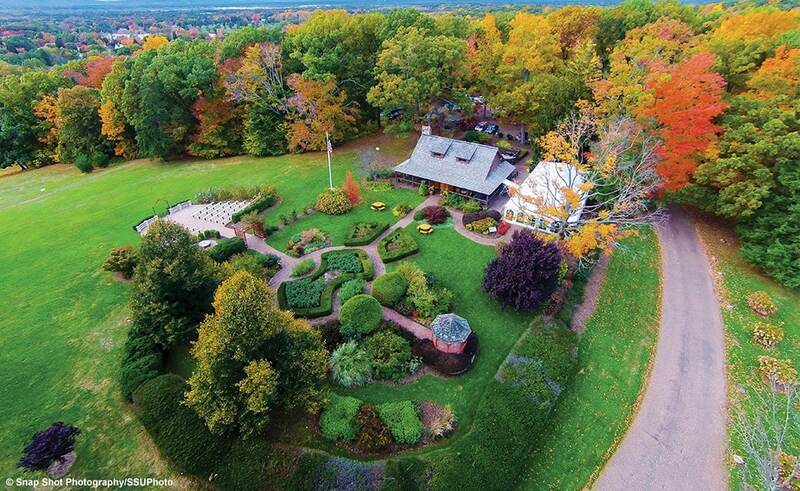 Besides being a family-friendly park, this park was recently voted as one of Connecticut’s best wedding venues by the experts at Wedding Reports Connecticut. Now if you are looking for amazing views try the summit of Case Mountain to appreciate the city of Hartford. Finally, Buckland Mall is the shopping stop to fit everyone’s wishes offering retailers’ stores, jewelry, and trending fashion in the Northeast. Manchester is a great town to visit, however, if you are planning to move here you want to check Manchester crime rates first. During the event of an arrest knowing a bail bond company, you can trust and rely on will make a big difference. To help you choose the best bail bondsman in Manchester we posted an article about choosing the right bondsman in Connecticut. 3-D Bail Bonds service is highly recommended throughout the state of Connecticut, see our reviews here. 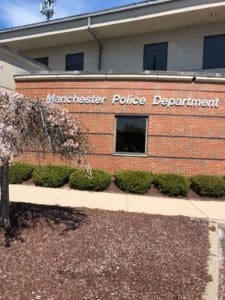 A defendant who has been arrested by the Manchester Police can have a bail bond posted as soon as he or she is processed. Our local bail bondsman is available 24/7. It may only take 15 to 30 minutes to get someone out of the Manchester PD. If for some reason you cannot post bail the day your loved one is arrested, he or she will be sent to the Manchester Court GA-12 or Manchester court serves the towns of East Hartford, Glastonbury, Manchester, Marlborough and South Windsor in Connecticut. If you do not post bail at the police department or courthouse, your loved one will be transferred to a Connecticut Correctional Center or CT jail. Men usually end up at Hartford Correctional (Hartford jail, The Meadows or “HCC”) in the North Meadows, at 177 Weston St. Hartford, CT 06120. Women will be sent to the York Correctional Institution or (women’s jail, “Niantic”) at 201 West Main St. Niantic, CT 06357. 3-D Bail Bonds Manchester offers bail bonds service in Manchester, East Hartford, Glastonbury, Marlborough, and South Windsor. A Manchester bondsman is only minutes from you. We are on Facebook, Yelp, Yellow Pages and Google, please share a review about our bondsman service in Manchester, here.